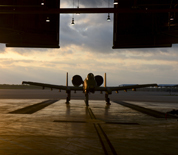 Barksdale AFB is located near Bossier City and Shreveport, Louisiana. Due to the favorable climate of the area, it is a popular location for military retirees. Barksdale AFB hosts the annual Defenders of Liberty Airshow and the base provides easy access to popular cities in Texas, Mississippi and Arkansas. The oldest and largest wing in the world, the 2d Bomb Wing (2 BW) of the Air Force Global Strike Command (AFGSC), is the host wing at Barksdale. It serves as a key Air Force Global Strike Command base. This Barksdale AFB directory features the critical info you’ll need to navigate through the many facilities and recreational opportunities available on base­­.